A Scottish sailor is planning to lead a six-person team to the North Magnetic Pole by rowboat 435 miles through the ice-choked waters of the Canadian Arctic. 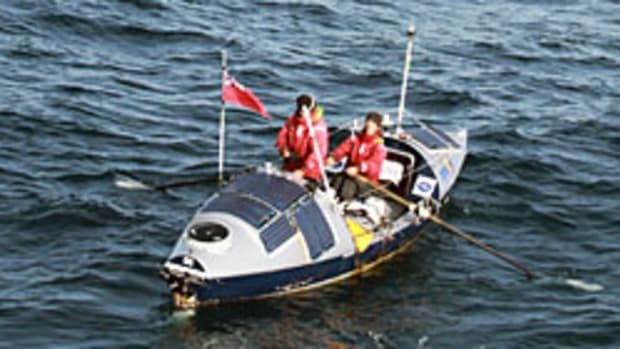 The expedition leader, Jock Wishart, crewed aboard a record-setting 74-day circumnavigation in a powerboat in 1998. "It has only become possible to consider an attempt like this in recent years due to the increase in seasonal ice melt," Wishart&apos;s "Row to the Pole" Web site states.